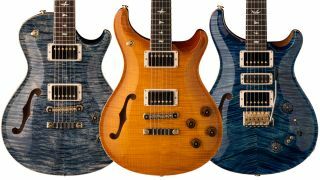 PRS has announced a trio of ultra-desirable semi-hollow limited-run guitars: the McCarty 594 Semi-Hollow, Singlecut McCarty 594 Semi-Hollow, and Special Semi-Hollow. The vintage-inspired McCarty 594 promises authentic humbucker tones with coil-split single-coil sounds, and is available in both double-cut and Singlecut formats. The Special Semi-Hollow is reminiscent of the Custom 22, but offers an HSH pickup configuration, with two PRS 85/15 Multi-Tap humbuckers and a PRS Narrowfield middle single coil. Those 85/15 MTs promise to deliver compensated volume loss when switched to single-coil mode while retaining the tone of the originals; the Narrowfield, meanwhile, aims to deliver single-coil bite minus the hum. Two mini-toggles tap the humbuckers. 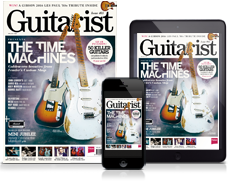 There’s no limit to the number of these models that will be made, but they’re only available for order via PRS Guitars authorised dealers between 8 June and 31 August, with shipping expected to complete in early 2019. Take a look below for full specs, and head over to PRS Guitars for more info.